It’s finally warming up outside, folks. The sweaters are coming off, the shorts are going on, and we even had to restock our sunscreen supply. More hot, wonderful sunshine also means winter is finally over, and it’s the best time to indulge in delicious frozen summer treats. Top of the list is a Frosty from Wendy’s because the usually $1 treat is currently only 50 cents. I mean, who doesn’t have fond memories of eating a Frosty? It’s basically a must-have whenever you order a burger at Wendy’s. Thicker than a milkshake, denser than soft serve, it’s hard to compare a Frosty’s texture to anything but a Frosty. 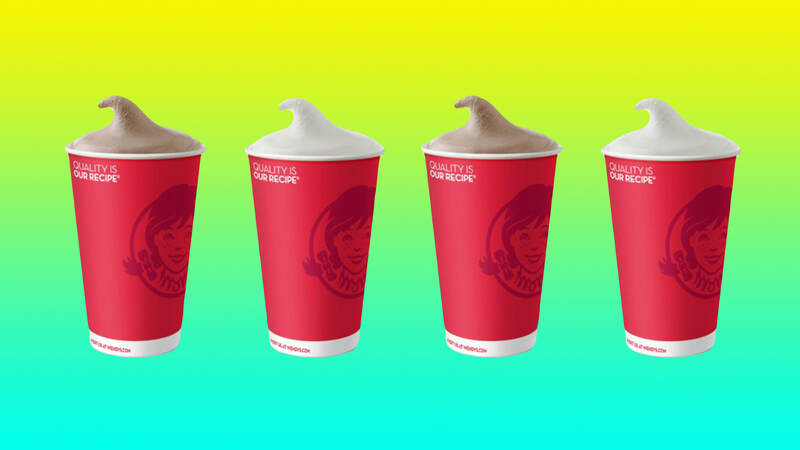 If it’s been a while, let us remind you that Frosty’s are made with milk, cream, vanilla and chocolate, and Wendy’s says there are no artificial ingredients in the shake whatsoever. So, that means it’s healthy, right? Let it get melty and drink it, dip your order of fries into it for a salty-sweet treat or save it for a delicious dessert. There’s really no wrong way to do a Frosty. Small Frosty is 50¢! Buy a whole bunch before this deal is done. But there’s more to this promo than a tasty ice cream offer. If you take a selfie with your unbelievably inexpensive Frosty and hashtag it with #ThatFrostyLifeSweepstakes on Instagram or Twitter, you could win a vacation for two. Yep, a vacation, so you might not even have to spend your hard-earned dollars on a plane flight this season. A heck of a deal and a sweepstakes too? Count us in. Just be sure to enter by May 31.